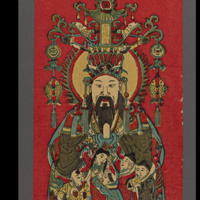 Offering a fresh perspective on ancestor worship, this ROM-original exhibition focuses on concepts such as shared family values, ritual concepts, the belief in visual powers, and common workshop traditions. Compelling and detailed works on paper and a rich assortment of 3-dimensional objects tell the story of worship in traditional Chinese homes, particularly during the period of Chinese New Year. The main thing that I like about traveling is to understand the culture of different places http://pariscitytourguide.com/paris-city-tour/louvre-guided-tour/ . The details are completely new to me. And also it is quite an interesting one for me to know about such events. The details help me to understand more about the event. NJMCDirect is an online portal where you need to pay the fines. It takes only a few minutes of time to pay the ticket.. The people will available after the celebration of the new year. You can join https://www.rushmypapers.me/ to ensure the event details. Best of luck for the paper workshop event at the end of this year. Nice one. https://vonagelogins.info/ is great way to get your voice services when you travel abraod.